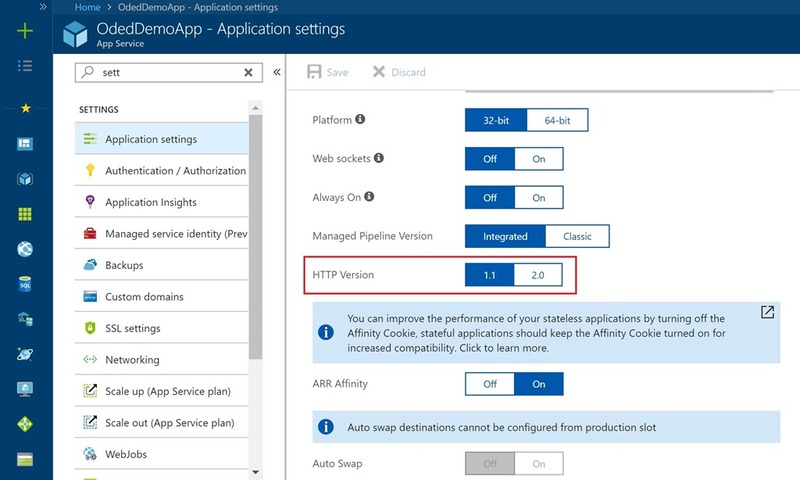 When we announced HTTP/2 support in Azure App Service and Azure Functions, the only way to enable the feature was through the resource explorer. Now, the configuration is also available in the Azure portal—to make the selection of HTTP/2 a seamless process with just a few clicks of the mouse. In the Azure portal, go to the application settings, and scroll to the HTTP Version options. Select which version you require between 1.1 and 2.0.